"A leading authority in the health and safety market, who is renowned for his extensive capabilities across the full range of health and safety law." "His advocacy skills and strategic planning set him apart from his contemporaries." "An impressive strategist and compelling advocate, who knows the area inside-out." "He has total recall; a phenomenal capacity to remember minute detail and use in court." "An outstanding advocate who is at the cutting edge of legal developments." "You always know that a client is in safe hands when he has been instructed." "Ten out of ten on client service. He is extremely intelligent, a good advocate and offers the complete package. If ever there is a scientific or technical problem, he just gets it." "He has a measured style of litigation, commands respect with the jury and has the judge's respect too." Mark Watson has specialised in health & safety law for more than ten years, and has represented clients in numerous fatal accident cases. Prior to taking silk in 2018 he was on the Regulatory List “A” Panel and was regularly instructed to prosecute in the most serious health and safety offences. 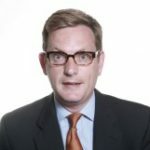 He has a broad range of experience of criminal enforcement up to and including at appellate level and has expertise both in the field of civil enforcement in relation to appeals against prohibition and improvement notices before employment tribunals and in judicial review proceedings relating to specialist regulatory regimes. Mark is regularly instructed to inquests on behalf interested parties relating to a broad range of industry sectors and processes, including: a large scale explosion at a plastic manufacturing plant; fatal accidents on the rail network and London Underground system; various fatal workplace transport accidents; fatal accidents which occur in the health sector and in care homes; and a fatal accident during the filming of medieval battle scene for a television documentary. Representing a construction company in a double corporate manslaughter trial at the Central Criminal Court. Acting for an adventure park operating company and director in criminal proceedings arising from the death of child on a zip wire. Represented three joint venture construction companies (Alstom/Carillion/TSO) at the inquest concerning the explosion of a locomotive and consequent double fatality during the construction of the Thames HS1 Tunnel. Subsequent to the inquest, the HSE decided not to prosecute any of the construction companies. Representing driver of a locomotive train in a serious near-miss SPAD incident in circumstances where the train protection system had been disabled. Instructed to defend a veterinary practice in a prosecution by HSE concerning the preparation of oncology drugs . Junior defence counsel in R v Beckingham (the Barrow-in-Furness legionnaires’ disease outbreak in which the defendant was acquitted of all seven counts of gross negligence manslaughter). Junior defence counsel in the corporate manslaughter trial R v Naturediet at the Central Criminal Court (corporate defendant acquitted of manslaughter). He is regularly instructed to prosecute on behalf of the HSE, the ORR and local authorities in a full range of fatal accident cases, including: various cases involving child fatalities; serious railway maintenance incidents; construction site fatalities; agricultural/horticultural accidents; falls from heights; fairground and recreational accidents; defective machinery and asbestos etc. Defence clients include major supermarket chains, construction, manufacturing, food, transport and property management companies. Instructed to defend in several cases involving fires in care homes. Defended the managing company of a block of flats in criminal proceedings where compartmentation failed and the prosecution challenged the adequacy of the stay put policy. Successfully defended the headmaster of a private boarding school in relation to the alleged breaches of the Fire Safety Order as a result of the condition of children’s sleeping accommodation in school premises. Acted for a major hotel group in the first successful challenge to a regulator by way of a reference to the Secretary of State under Article 36 of the Fire Safety Order. Represented another major hotel group in relation to a prosecution following a fire and full-scale evacuation at a large airport hotel. Represented a large London-based managing agent with regard to alleged breaches of the Fire Safety Order at one of its managed properties. Acted for a major High Street retailer with regard to breaches of the Fire Safety Order. The first successful prosecution, on behalf of the Maritime and Coastguard Agency, of a UK managing agent in relation to an unsafe Anglo-Spanish trawler, following a severe fire aboard the vessel off the north west coast of Ireland. The prosecution, on behalf of the Port of London authority, of the master of a Thames barge which struck Battersea Road Bridge causing significant damage and closure of the bridge for months. Advised the Maritime and Coastguard Agency in relation to a fatality which occurred on board a vessel in British territorial waters. Provided disclosure advice in relation to the Sea Empress disaster on behalf of the Environment Agency. Mark Watson represents both regulators and companies in relation to a broad range of planning and environmental matters. He has extensive experience of pollution cases over many years, having been instructed on behalf of the Environment Agency in relation to the Sea Empress disaster and having been instructed in numerous of the most serious and complex waste and water pollution cases since that time. He has particular expertise in relation to confiscation proceedings in environmental and planning cases, and especially in relation to company directors. In respect of appeals against noise abatement notices, Mark has successfully acted on behalf of numerous organisations, including major supermarkets and large recycling companies. Successfully defended business operator of incinerator (at trial and on appeal) in relation to alleged breaches of an abatement notice. • Successfully secured quashing of abatement notice in relation to noise emanating from well-known London music venue. Successfully defended director of waste company is multi-million pound Proceeds of Crime Act proceedings involving alleged disposal of 70,000 tonnes of waste. Successful prosecution of large waste company in relation to unlawful handling of large quantities of hazardous waste at one of the largest transfer stations in London. Prosecutes and defends in broad range of waste and water pollution cases, including cases involving hazardous waste, waste exemptions and breaches of permit conditions. Has been instructed in a number of cases involving confiscation proceedings in waste cases, including R v Holbrook Ltd. Junior prosecution counsel in Environment Agency v Thames Water Utilities Ltd  EWHC 472 (Admin) securing successful outcome in relation to the legal definition of ‘deposit’ and subsequent appeal against sentence. Successfully defended landowner and waste haulage company at trial on basis of applicability of Non-Waste Framework Directive exemptions. Successful prosecution of major water company following Category 1 river pollution incident arising from telemetry response failure. Instructed by local authorities to prosecute cases of breach of planning control, enforcement notices, listed building cases, advertising related matters, statutory nuisance and untidy sites. Instructed to represent a number of large scale metal recycling companies in relation to statutory nuisance proceedings. Has advised and appeared on behalf of local planning authorities at local plan inquiries. Has appeared on behalf of local authorities in numerous other planning inquiries including: large scale residential development, retail development, residential care homes, conference centres, listed buildings and conservation areas, Green Belt and countryside issues, agriculture and horticultural related development and cases involving gypsies/travellers. Advising in relation to Proceeds of Crime Act issues arising from environmental/planning offences. Has particular experience in relation to enforcement matters (including appeals against enforcement notices, listed buildings and human rights issues) and the use of injunctions (particularly in relation to gypsy/traveller cases and listed buildings). Successfully prosecuted a test case for the FSA (conviction upheld on appeal) regarding the display of meat at Smithfield Market, relying on the expert evidence of Professor Hugh Pennington. Successfully defended of the Production Manager within a multi-national food production company. Instructed by the FSA in relation to enforcement action against the sale of raw unpasteurised milk from vending machines. Successfully prosecuted of a large hotel group following significant food poisoning outbreak arising from undercooked chicken liver parfait. Represented a local authority in proceedings relating to a large scale salmonella outbreak arising from food premises at a Blue Water shopping centre in Kent. He is regularly instructed to appear on behalf of large food/drink companies and supermarket chains, including numerous cases of a high profile nature featuring in the national press. Mark Watson has acted in numerous cases relating to mis-selling, trade descriptions, trademarks, prices etc. He has advised OFGEM in relation to enforcement action against a major utility company in relation to allegations of widespread mis-selling which resulted in a multi-million pound settlement. Mark has recently been instructed to mitigate in a case involving a multi-million pound penalty imposed by the Gambling Commission, securing a very significant reduction in the proposed financial penalty. Mark also has extensive expertise in relation to non-criminal enforcement in consumer cases including several cases concerning enforcement under Part 8 of the Enterprise Act 2002. He regularly advises in relation to disclosure matters arising from regulatory work, particularly with regard to requests for information under the Freedom of Information Act and the Environmental Information Regulations.